I love this travel size version of this mask. Its prefect to achieve my best skin during traveling. I use it as a mask and exfoliator to get clean and smooth skin. 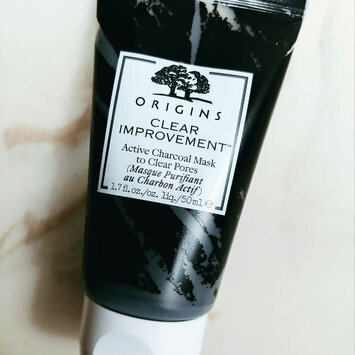 This is one of my favorite masks and this works really well even when my skin is sensitive. 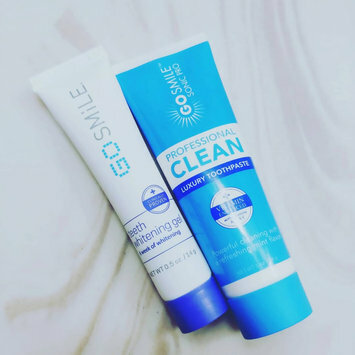 This toothpaste is great! I really do notice a difference. I noticed a difference the second day and they got better every day after. I repurchased. I absolutely love this combo pack! 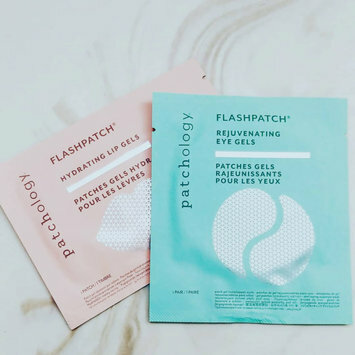 These little jellies are super hydrating and feel so great on my skin. I usually rub the remaining serum on my eye area or lips to keep them extra moisturized after i remove the jellies. They also smell great and are big enough for anyone to be able to use. Must try! This is one of the best razors on the market. I really like how hydrating it is and it makes my legs feel so smooth after shaving. It does get a close shave but it is harder to fit in hard to reach areas due to the large bulky head. I also do not like the purple color whatsoever. I would love to find a razor specifically targeted to women that makes us feel like we are using a luxurious product. This exfoliating mask smells wonderful but overall it is just good. I have sensitive but oily skin so if i use certain exfoliators or masks they will make me break out. This was too much for my skin, it felt really gritty, it irritated my skin and I was bright red for a long time after rinsing off. I don't think this was meant for my skin type, I'm sure it is a great product and I'm sure it will work wonderfully for someone else but for me it was just too much to handle. I did however notice that the following day I woke up with amazingly smooth and glowy skin though but I just don't like it makes me feel horrible the whole day prior. 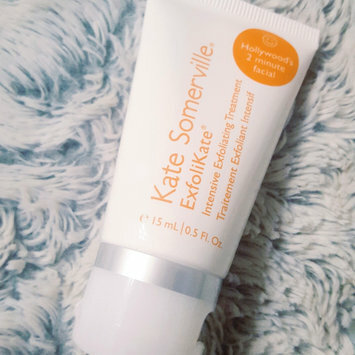 I used this once every six days for a month usually during my nighttime routine since the first time I used it in the morning routine and it didn't work well. I won't be purchasing this in the future, I think there are better products that won't irritate me this badly. 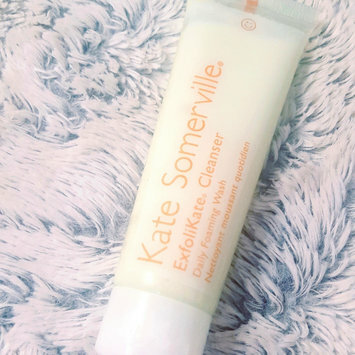 This cleanser is amazing, smells and feels wonderful. I have sensitive but oily skin so if i use certain cleansers they will make me break out but this is sensitive enough to not make my face red and for it to fuction perfectly with my skin. I have noticed a big improvement of my skin. When I apply it, it feels great and almost gives me a sense of cooling gel being applied on my skin, it feels so luxurious. I use it once a day usually during my morning routine or if i wore loads of makeup i will use it at night during my nighttime routine. It leaves my skin so soft and glowy but not in an oily way. This moisturizer is amazing, smells wonderful and I love the packaging. I have sensitive but oily skin so if i use heavy moisturizers they will make me break out but this is light enough for it to fuction perfectly with my skin as long as i dont cake it on. It keeps me hydrated through the day and I have noticed a big improvement of my skin. When I apply it, it feels great and almost gives me a sense of cooling gel being applied on my skin, it feels so luxurious. I use it once a day usually during my morning routine or if I need an extra hydration boost I will use it at night during my nighttime routine. It leaves my skin so soft and glowy but not in an oily way. I really love this dry shampoo, it smells amazing! It gives me volume and doesn't weigh down my hair at all. Doesn't leave a white cast or any little white clumpy residue behind. It blends pretty easily and removes all of the oils. I have been loving this new lip ink! It feels good on my lips and does not over dry them like other products. It is mattifying and does not have a strong smell. It stays put all day even after eating and drinking. I love the color and the applicator is really easy to control for perfecting lines. I will be purchasing some of their other shades in the collection.